Hankook Ventus ST RH06 is a premium SUV tyre designed to provide ride comfort, low noise levels and superior traction in all conditions. Hankook Ventus ST RH06 is a premium SUV tyre designed to provide ride comfort, low noise levels and superior traction in all conditions. 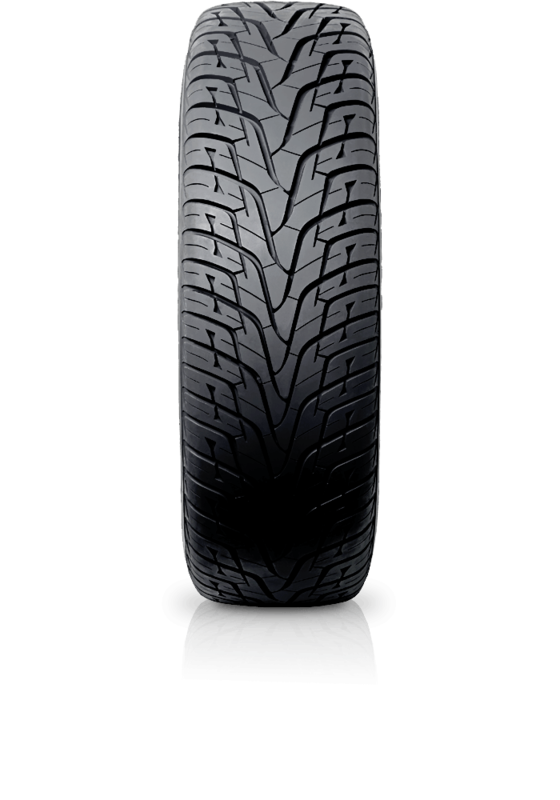 The V-rated RH06 with V-shaped tread pattern targets the high-performance, luxury SUV market as well as small and full-sized utilities with P-metric sizes. The footprint provides constant, maximum contact with the road surface for a smooth ride and remarkable all-weather handling. The computer-designed ply shape has the optimal stiffness for minimal tread wear and maximum tread life, while a multiple sub-pitch reduces pattern noise. The latest engineering technologies have been applied to overcome the performance trade-offs associated with metric light truck and SUV tyres.